The last time I wrote, I was about to go on a holiday and told you I’d be back in late January. I’ve been back one month now (hello, February) with a bit of writer’s block and have been busy enjoying life offline (remember that?). It’s encouraging to see some of you have kept visiting despite the post drought! So, I got back from my holiday about a month ago feeling refreshed, rested and I am determined to hang onto that feeling. I remembered how important it is to take a mental break – time to clear your head, regain good headspace and just ‘be’. I think this is important, not only for the sake of your mental health, but also to allow yourself time to really think things through, forget about what you need to work on next, and find some inspiration. On a related note, The Harvard Business Review have a good article on how taking ‘creative sabbaticals’ to give your mind a break helps increase productivity and improve your mental state. They use the example of Stefan Sagmeister, a Designer who takes a creative sabbatical every 7 years, for 1 year at a time. In this year, Sagmeister does not work. Instead, he dedicates time to finding things that inspire him by travelling, talking with people and so on. For the average person, 1 year off work is probably not economically feasible, but I do like the concept of having time dedicated to do the things you normally wouldn’t get time to do. Time to think. On a smaller scale, I am going to try to dedicate some time each day to relax, clear my head, read, research and think. What do you do to maintain a good state of mind? If you have any tips or ideas I’d love to hear them. Last week I attended the ATC Social Media Conference that focused on the use of social media in recruitment. There were ~130 people present: in-house corporate recruiters (the majority), ~15% were agency recruiters and a handful of HR and other professionals. Mark Pesce kicked off the day with a talk called “Everything old is new again” and put forth that using social media in recruitment is about using different tools to get the same thing done. Just like with using email, phone and face-to-face meetings, tools such as Twitter, LinkedIn, MySpace and FaceBook (and the list goes on!) can be used to communicate with and attract your candidates. Lesson 1: Social media does not need to be approached with the raised eyebrows and fear that many recruiters (and HR professionals) have. It really is not that scary. Mark did a quick poll of the room – of the ~130 attendees a mere 15-20% used Twitter and 70% used FaceBook. I think the stat for FaceBook was artificially high as I would hazard a guess that most people use it exclusively for personal purposes. But that’s not to say that it can’t be used as a recruitment tool, and a successful one at that. Margie Kwan from Ernst and Young spoke about how they use FaceBook to interact with and attract graduates. Their FaceBook page has since become the top referrer to their careers site and has helped them communicate the many graduate opportunities available inside the company, outside of accounting. When I heard Mark comment on the timeframe over which recruiters have to become adept with social media tools (below) I was confused. Did I hear right? Recruiters have a few years to catch up with social media tools. What? You have at least a few years to become adept with the tools, and a few more to build out those nationwide networks. But I can promise this: at the close of the 2nd decade of the 21st century, recruiting will look entirely different — Mark Pesce. Full transcript of Mark’s presentation, here. I really think this is the wrong message. If you are a recruiter who is not using social media, you are already falling behind. Quickly. Particularly in industries where social media is being used by employers and candidates alike to create their own social networks or by using recruitment agencies who have already cottoned-on. Lesson 2: If you are not using social media in recruitment, start getting involved now. Spend the time understanding where your candidates spend time in the online (and offline) world. An online presence on Twitter, FaceBook or LinkedIn may work for one company, but fail for another if their candidates are not using the same tools. Dan Nuroo, who also attended the conference wrote a good post on this. 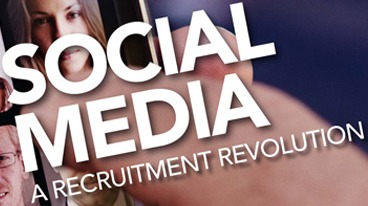 Social media shouldn’t replace traditional means of recruitment, but that’s another story! There were a lot of other great talks and sessions at the conference. A big thank you to the organisers, speakers, and to all the Tweeters I got to meet and catch up with in person – proof of social media in action! The 2010 conference is already in the works. If you’re an agency recruiter, make sure you’re there or feel the wrath of Riges Younan and Ross Clennett. You’ve been warned.